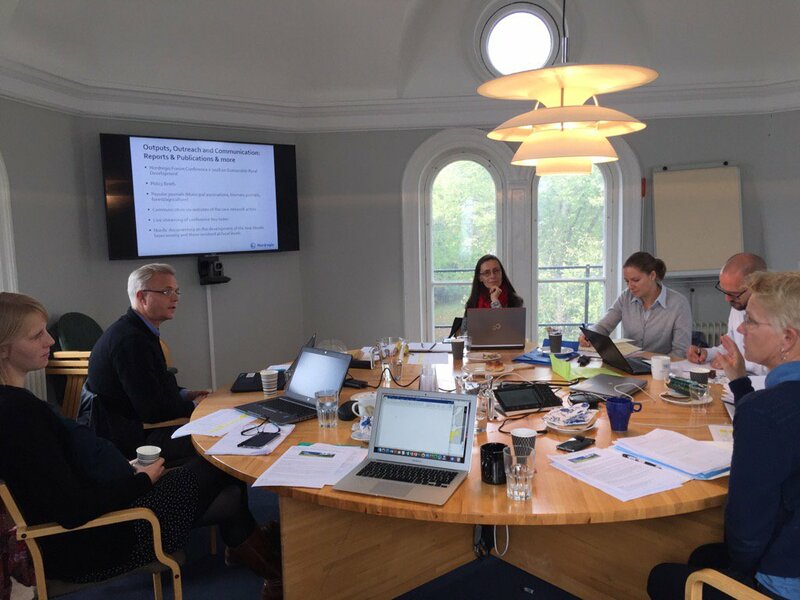 On 14 September, Nordregio hosted a kick-off meeting of the new BioWiseTrans network which involves not only researchers but also representatives of the public sector (municipalities, regions and ministries) and different stakeholders, such as associations and industry that are interested in bioeconomy transition. The transdisciplinary network is led by Nordregio and the project leader Michael Kull. The aim of the network is to encourage and empower these key stakeholders to participate in research and innovation processes to identify conflicts and to gain improved governance and utilization of land and resources. BioWiseTrans kick-off meeting at Nordregio. Karen Refsgaard: “We want to engage people relevant for sustainable rural development and from a variety of sectors such as rural interest groups, agriculture, forestry, bioenergy, recreation and cluster organisations. At the same time, solutions need to be deliberated in a science-policy-practice dialogue and solutions co-constructed between these different actors”. BioWiseTrans will arrange a larger conference in the field as well as a few workshops including field trips to learn from best practice examples in place in all Nordic countries. Ultimately, BioWiseTrans seeks to create an environment for practitioners to learn across regions and localities. It also aims to increase the understanding of how positive outcomes are inhibited or encouraged by locally adapted institutional regimes. One part of the job will be mapping of resources and outcomes of regional and local initiatives and to encourage local innovation networks. The network will also study the ways in which national and EU regulations and policies affects processes of local adaption. Michael Kull: “We will also include experts from Latin America, such as from Brazil, who have a strong interest in Nordic approaches and practices of the transition towards a new primarily land and biomass-based bioeconomy. Last but not least, durability of our efforts is thought of, too. This is through mapping and strengthening networks of PhD and post doc students in the field as well as working on joint proposals for upcoming Nordic and EU calls, including Marie Curie or Horizon 2020.” Kull and Refsgaard look forward to work in an ambitious network with nice colleagues and relevant stakeholders. Find more about the BioWiseTrans project on the Nordic Research Forest page.